A common off flavor in both commercial and home brewed beers is a skunky “light-struck” flavor and aroma. It can give your beer a strong skunky aroma and make it most unpleasant to drink. Skunky beer occurs when beer is exposed to light. Some of the compounds in hops remain photosensitive after brewing. Specifically isohumulones, which are a primary bittering compound in the finished beer will turn into MBT (shorthand for methyl butane thiol) if exposed to light. 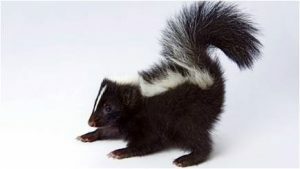 MBT is remarkably similar in chemical composition to the spray of a skunk and humans can detect it at aroma thresholds in the single parts per billion. MBT is common in some commercial brands including those in imported in light colored bottles like Corona. This is due to primarily to packaging but also longer transit and storage times that tend to run the risk of exposure to ultraviolet light. Clear bottles are the worst possible packaging, as exposure to direct sunlight can start the process of creating MBT in a matter of minutes. Dark or opaque bottles work best for protecting your beer as they reduce the beer’s exposure to light. The best prevention is to store your beer in a completely opaque container such as a stainless steel keg. The next line of defense is of course to store your beer properly – preferably in a dark box and well away from any sunlight. When serving beer, don’t leave exposed to sunlight of any kind. Better to keep it in a closed cooler than leave it exposed to light even for a few minutes. Don’t serve your bottles in a bucket full of ice, for instance, as it will expose it to sunlight. Those are some quick tips for avoiding skunky beer! Thanks for joining me on the BeerSmith Home Brewing Blog. Be sure to sign up for my newsletter or my podcast (also on itunes…and youtube…and streaming radio station) for more great tips on homebrewing. Also check out the How to Brew Video series I shot with John Palmer if you want to learn more about all grain brewing.